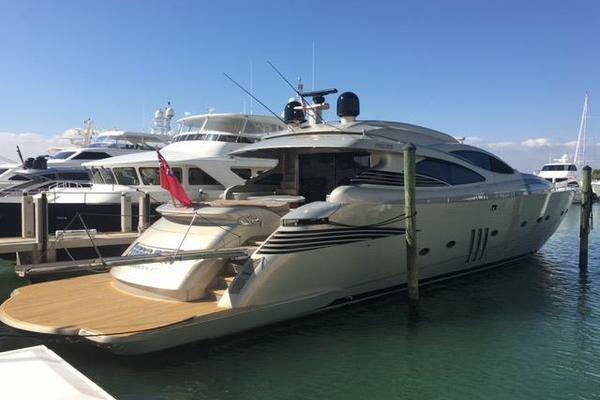 United Yacht Sales New Jersey would love to guide you through a personal showing of this 75' Sunseeker 75 Yacht 2005. 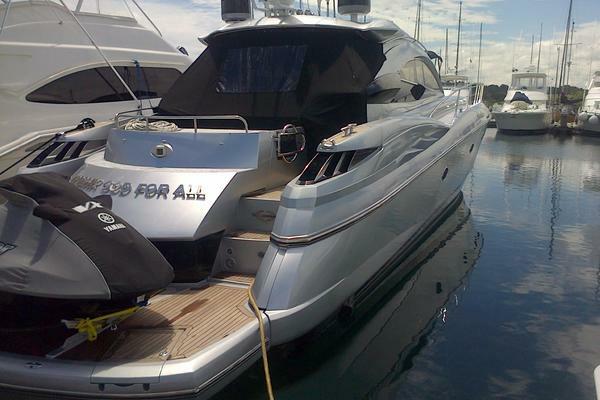 This yacht for sale is located in Unknown France and priced at $700,000. For a showing please contact us by filling out the form on this page and we will get back to you shortly! Lower deck :1 master stateroom - 1 vip cabin - 2 guest cabins - 1 captain cabin - 1 crew cabin. 2 x 19 kw Kohler generators. Battery chargers and inverter 220V/24V.. Reverse cycle air conditioning system. 5 fresh water flushing system toilets. Miele KM490 induction hob + Miele DA327 extractor hood + Miele DG4060SS oven. Stainless sink + Trash compactor. Fridges and freezer + Dish washer + Washing machine. Sony DVP-F35P CD/DVD/PM3 players in each cabin. Satellite G6 TV system and KVH Tracnet 2. 40" plasma screen TV in the saloon. 26" Sharp LCD flat screen TV in master stateroom. 20" Sharp LCD flat screen TV in vip cabin. 20" Sharp LCD flat screen TV's in each guest cabin. Raymarine ST60 navigation pack (Loch / Speedometer / Depth sounder / Etc...) and display on flybridge. Raymarine E120 GPS/Radar/Chart plotter and display on flybridge. Raymarine ST8001+ autopilot and display on flybridge. Tender and 2 Kawasaki 150 Jet ski.